HI ALL! HOLY GRAIL ALERT!! Up for grabs is a huge key comic for investors and collectors alike! X-MEN #1, first appearance of the new X-men! 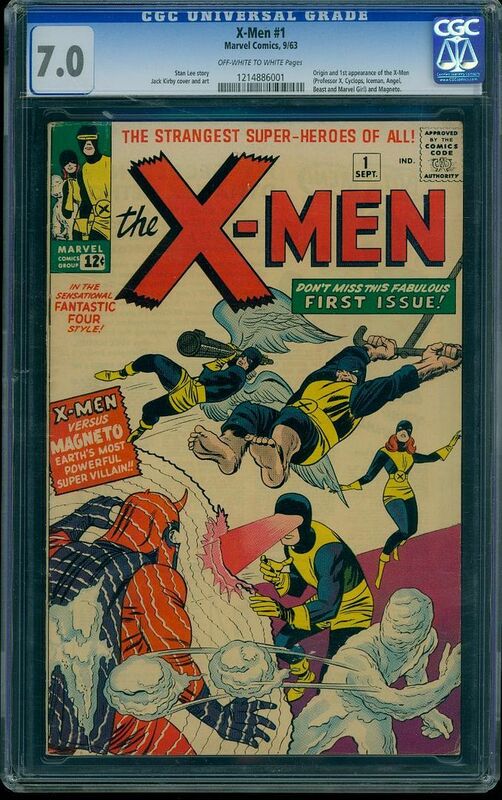 This book is CGC graded as 7.0 (FINE / VERY FINE) with a Blue (Universal) label, meaning the book is 100% authentic and unrestored! Book also has a near-perfect off-white to white pages designation! PLEASE LOOK AT HIGH RES SCANS TO SEE THIS BOOK FOR YOURSELF!